Save the stories! Become a story-catcher during your coffee break! Welcome! I'm glad you found me. I hope we can have fun here and do something really important, too. Doing family history isn’t only about visiting graveyards and documenting all the begats of dead ancestors, it’s also capturing living memory and creating a story your descendants will be eager to read. So set aside a few short minutes–with morning coffee, at lunchtime or before bed–and write, type or speak fast! We all live among things. Some of those things become imbued with special meaning. They’re associated with people or events, they engender curiosity, sentimentality or can even become talismans of sorts. This is why a family will sometimes be in perfect harmony about splitting stocks and bonds, but fall into a squabble over a chipped cookie jar. One of the family artifacts my children fixated on was a card shuffler, an item that came down from my husband’s grandparents. 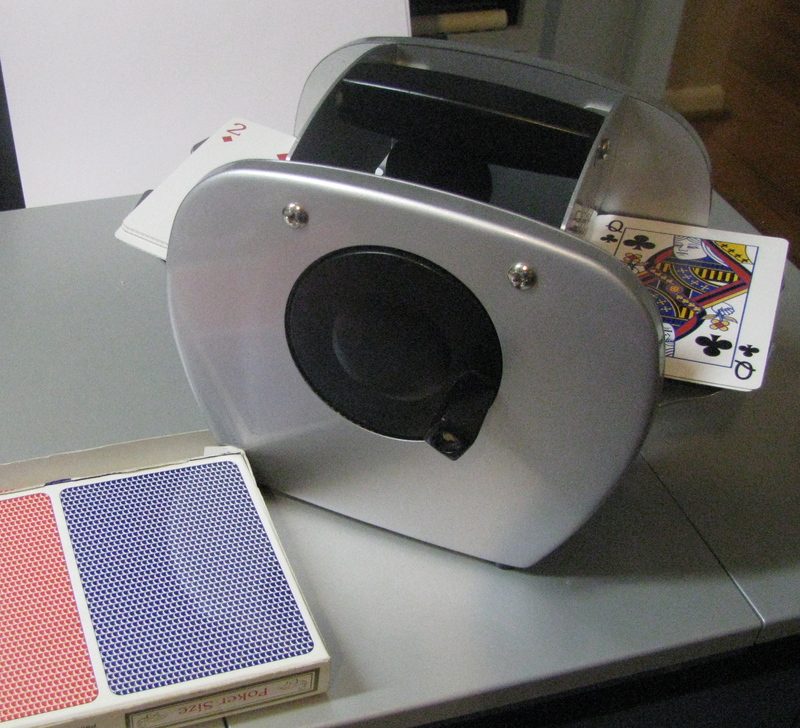 They loved feeding the cards through it and watching it shuffle. This provided an opportunity for hubby to share something about their great-grandmother who played bridge with her friends every week and to tell them what that activity (and those friends) had meant to her life. So for today’s assignment, pick an artifact (either one that has come down to you from your family or one that you’ve procured in HOPES of making it a family heirloom for future generations). Write everything you know about that object: what it is, how it came into the family, what it was used for, any memories of events or routines that involved the object, if it has monetarily value, etc. Write for 5 or 10 minutes. There, in a short time you’ve captured a bit of family history. You can put the butterfly net away until next time.